Today is the last day of October. Which may mean Halloween for many but it also means that tomorrow is the first day of NaNoWriMo! I will be participating this year and I am filled with excitement and dread and angst and impatience and anticipation. The last time I took part was in 2011 and I lost quite miserably. Didn't even make it to the half-point, I think. But the year before that, I did win. But that was so long ago and I had just finished high school and taken a gap semester and I had so much time! My username is zanirra in case anyone wants to be buddies! The readathon is over and I managed to read 3 books. Not bad for a first attempt, I hope? And a big leap if I think about the four years I spent not reading at uni.. I'm going to post very brief reviews just to clear my mind and move on to other books. I loved her Legend series so I was certain that I would enjoy this book. Lo and behold, I did! I liked the characters and the slow build-up which really let you get to know the characters. I didn't expect the ending and I have high hopes for the sequel which I am so excited is out already! Even the title, The Rose Society, makes the anticipation higher since I now know what it refers to. I preferred The Selection. I remember enjoying the relationship between America and Prince Maxon, smiling at their friendship. But the sequel was a bit slow and sort of annoying. Each chapter alternates between America torn between two guys. Over.. and over.. again. I felt she was a stronger character in the first book. But I'm still picking up the third book with hopes that it gets better. This one was a re-read because Carry On is out now and I thought reminding myself of Cath and Simon would be nice. 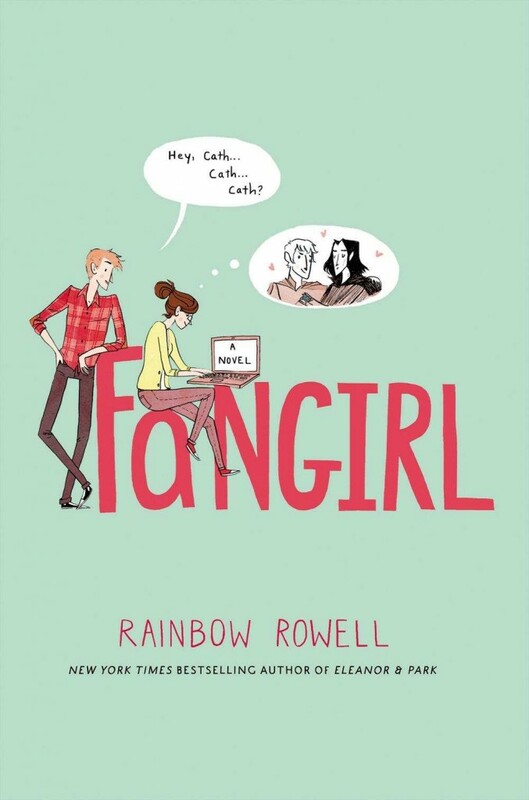 Though it's not necessary to read Fangirl before Carry On, of course. What can I say? Fangirl will always be one of my favorites. I love Rainbow Rowell's style and this story is just so sweet and creative and real. At times, Cath might not seem like your typical teenager but then other times, she totally is. Conclusion: I NEED Carry On! My eyes starting hurting last night from the bad lighting in my room and generally because... well, I have bad eyesight. I'm looking forward to catching up with all the new episodes of Modern Family, Scream Queens and Vampire Diaries today. Then hopefully, I can get some writing done. Goodbye! Done with 'The Elite'! Which I must admit did not awe me as much as 'The Selection'.. I'm moving on to either 'Fangirl' or 'Sheer Mischief'! But first, some dinner! 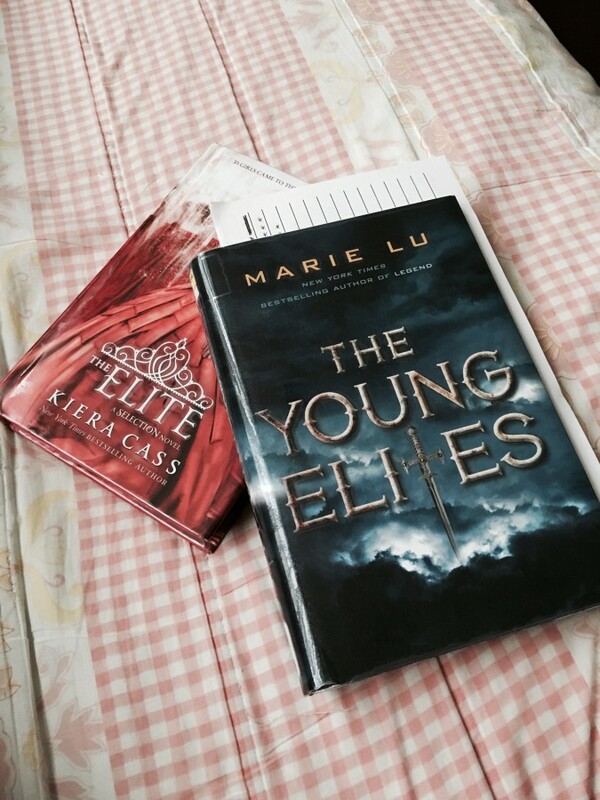 I am finished with 'The Young Elites' and wow.. I wish I had the sequel right now! I'll post a review later. For now, I plan to take a short rest and go on to my next book! Good luck to everyone participating in the readathon! 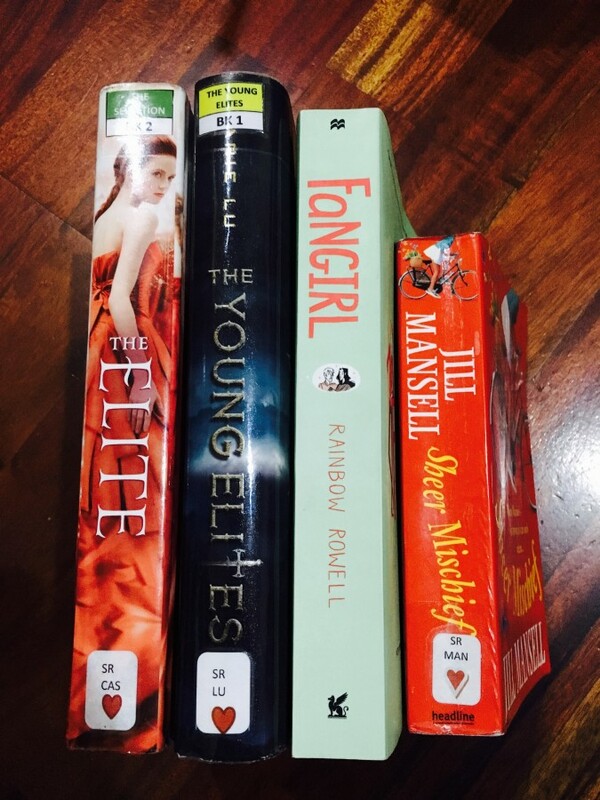 I walked into the library hoping to just pick up 'The Elite' and a Jill Mansell novel but 'The Young Elites' caught my eye. So excited to read it!! Anyways, update time is over and back to reading!! I haven't posted in ages.. But I'm back again (temporarily as it might be) to get back in the swing of blogging! It's a good start, I think. They're mostly short books that I've been looking forward to reading for a while. Hopefully, it'll be a satisfying weekend of intense reading! Good luck to everyone participating!